Glaucoma encompasses a group of eye diseases which cause damage to the optic nerve and are usually characterized by an increase in intraocular pressure (pressure in the eye) that worsens without treatment and causes vision loss. It usually presents no pain or symptoms at the onset, so early diagnosis and treatment are key in preventing serious vision damage. 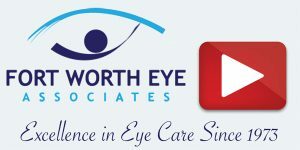 Although this disease is not curable, early detection through an annual ophthalmic examination can allow immediate treatment which can slow progression of the disease and preserve vision. Glaucoma occurs when the optic nerve is affected by poor drainage from the eye and increased eye pressure. 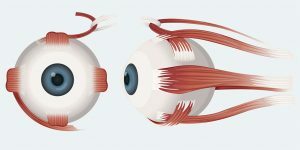 Your optic nerve contains over a million nerve fibers which connect the retina (the back portion of your eye that receives light images) to your brain. Fluid (aqueous humor) normally circulates through your eye’s anterior chamber and flows out through mesh-like eye tissue (trabecular meshwork) that acts as a drain. If the fluid drains too slowly or the channel is blocked, eye pressure can increase as a result of fluid build-up. This intraocular pressure can then damage the optic nerve and cause permanent vision loss. Although there is no known cause for why glaucoma occurs, it can be hereditary. Patients with a family history of glaucoma should be proactive in having their eyes evaluated on a regular basis. Patients with glaucoma typically show no early symptoms, which makes staying up-to-date on your annual ophthalmic exam extremely important. Left undetected, the disease will begin to affect peripheral (side) vision first. 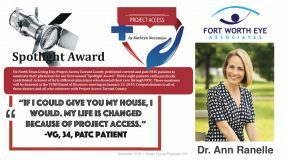 As it progresses, patients will continue to lose their peripheral vision until they see things as if through a tunnel. Without treatment, glaucoma will eventually affect central vision and then cause total blindness. Tonometry: Measures intraocular pressure in millimeters of mercury (mmHg) by calculating the amount of force needed to gently flatten the cornea. Corneal resistance can be determined using a puff of air (noncontact tonometry), a special rounded electronic tool (electronic indentation tonometry), or a small probe (applanation or Goldmann tonometry). Increased intraocular pressure (IOP) does not necessarily indicate glaucoma, as the optic nerve’s ability to tolerate pressure varies depending on the patient. In some cases, glaucoma may develop without any increased eye pressure being present. Open-angle (also called primary, wide-angle, or chronic glaucoma): The most common type in which the fluid of the eye does not drain through the trabecular meshwork properly. The slow build-up of fluid causes the increase in intraocular pressure and damages the optic nerve over time. Open-angle glaucoma comprises about 90% of all cases and affects approximately 3 million Americans. “Open-angle” refers to the width of the angle where the cornea meets the iris. Angle-closure (also called chronic angle-closure, acute, or narrow angle glaucoma): Eye pressure is increased, similar to open-angle, and characterized by a narrow or closed angle between the cornea and the iris. Eye pressure increases quickly when the iris blocks the angle causing severe pain, redness of the eye, nausea, and blurred vision. 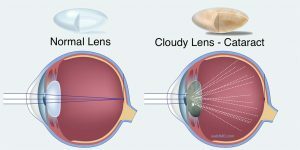 Unlike open-angle, angle-closure glaucoma usually develops suddenly with noticeable symptoms and requires immediate medical attention. 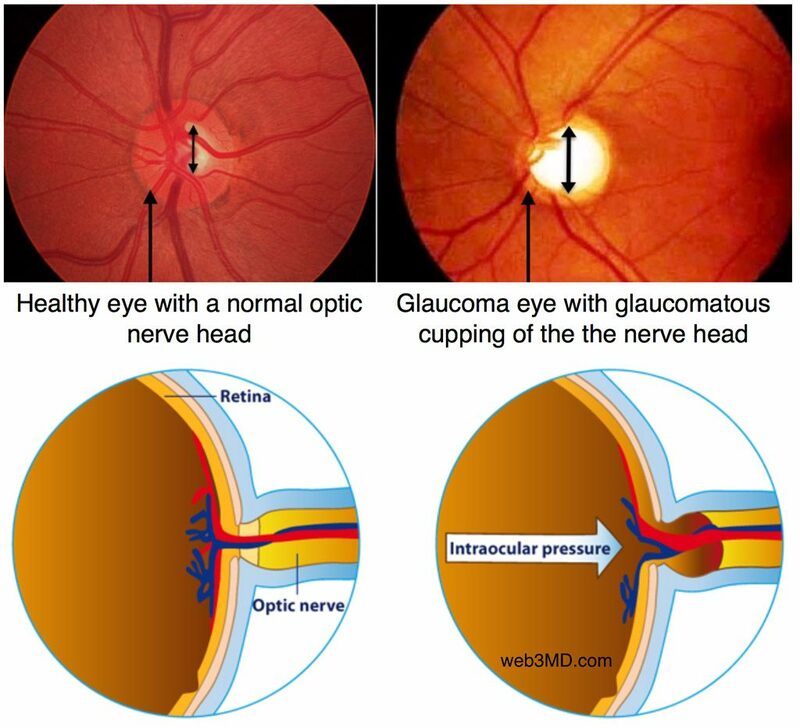 Low-tension or normal-tension glaucoma (NTG): In this type, intraocular pressure remains normal. The optic nerve becomes damaged without an increase or very little increase in eye pressure. There is no known cause for the development of NTG. With prompt conventional surgery, children with this disease have an excellent possibility of having undamaged vision. Medications are typically not recommended for congenital glaucoma due to the age of the patients and the possibility of side effects. There are variants of glaucoma, or secondary glaucomas, which can occur as complications of other existing medical conditions. 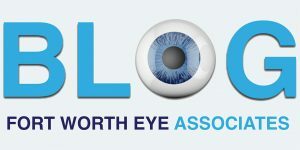 Glaucoma can also develop after eye surgery or an injury to the eye (traumatic glaucoma). Uveitic glaucoma: This occurs as a complication of uveitis, an ocular inflammatory disorder that causes swelling and damages eye tissue. Up to 20% of patients with uveitis may develop glaucoma due to the inflammatory debris associated with uveitis obstructing the trabecular meshwork of the eye and decreasing fluid drainage. Iridocorneal endothelial syndrome (ICE): Rare form characterized by corneal swelling and changes in the iris. Corneal cells moving to the iris can block the meshwork and cause poor fluid drainage, intraocular pressure, and eventually optic nerve damage and vison loss. Medication: Eye drops or pills to lower eye pressure or to lessen fluid production are the most common early glaucoma treatment. Because glaucoma medicines can interfere with other drugs, you should inform your doctor of any medications or supplements you take. Regularly taking your glaucoma medicine is vital to controlling eye pressure and slowing the progression of glaucoma. Be sure you are comfortable with instilling eye drops prescribed for your glaucoma, as it is extremely important that the medicine is dispensed properly. If you have any side effects from your glaucoma medication, such as headaches or red, stinging, or burning eyes, contact your doctor. Adjusting your dose or using a different medication may be an option. Laser surgery for glaucoma is performed as an in-office procedure, typically one eye at a time, with several days or weeks between procedures. 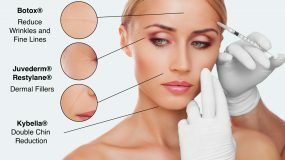 Microsurgery or conventional glaucoma surgery (trabeculectomy): Traditional operating room surgery in which your doctor numbs the eye and removes a small amount of eye tissue to create a new channel for fluid drainage. Conventional surgery is often reserved for patients whose disease has not responded to other treatments and is usually 60-80% effective in lowering intraocular pressure. 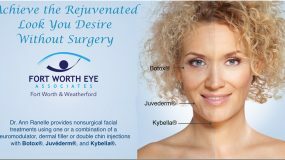 As with laser surgery, each eye is operated on separately, with a few weeks in between procedures. After a trabeculectomy, you will use eye drops (different than eye drops for high pressure) to prevent inflammation and infection. Several follow-up appointments will be needed to monitor your eye pressure and check your progress after surgery. You may still need to take eyedrops after your surgery to keep eye pressure stabilized. 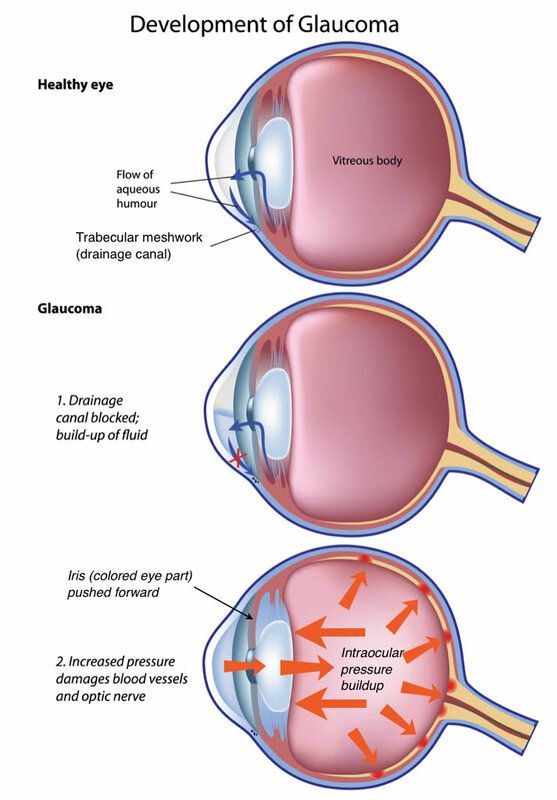 Research shows that glaucoma surgery can have extremely good results of eye pressure reduction, although over time, the effects may wear off and require additional treatment. If you are diagnosed with glaucoma, it is essential to closely follow your treatment plan. Proper use of glaucoma medicine improves its effectiveness and minimizes the risk of side effects. Take an active role in your glaucoma care and always ask questions if you are unsure of a component of your treatment or condition. If you have vision loss, low vision specialists are available to assist you with counseling, training, and services that are offered for those with visual impairment. Low vision devices can help you utilize remaining vision to the fullest. Glaucoma patients should have regular professional eye care exams and encourage family members, who may be at high risk for developing glaucoma, to stay up-to-date with their annual ophthalmic exam as well.